Not all infrared saunas are great for your health. In fact, there are a lot of models that can do more damage than good. 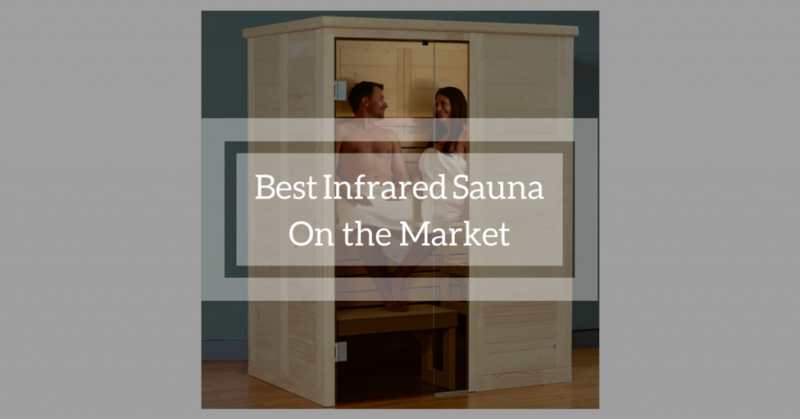 The good news is that finding the best infrared saunas is relatively easy if you know exactly what to look for. In this review, we’ll help you pick that right one based on your needs and preference. 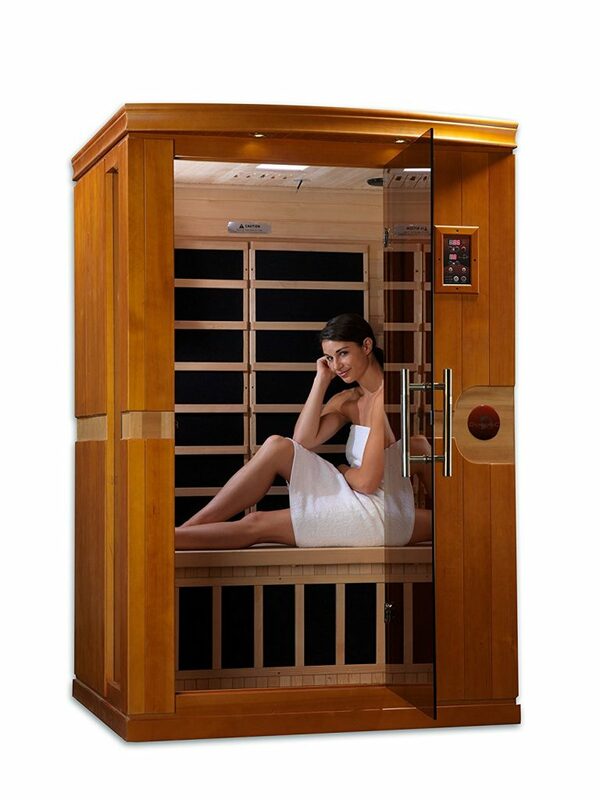 JNH Lifestyles Joyous 3 Person Far Infrared Sauna is simply impressive. 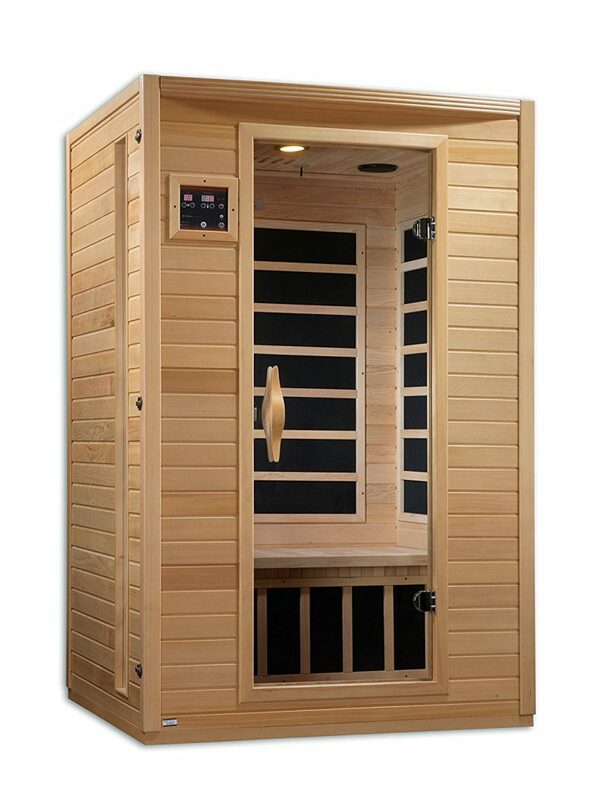 Built with the latest carbon fiber far infrared heaters, it's easily the best infrared sauna on the market. These heaters are placed in areas that guarantee efficient heating, like the back, calf areas, and sides. The sauna is made with Canadian Hemlock Wood. This type of wood is more resistant to shrinking, splitting and cracking. It also emits very minimal to no wood aroma and that makes the atmosphere inside the sauna a lot more pleasant and enjoyable. In addition to the durable built, the sauna also has a dual wall insulation. This means better heat insulation and better capacity to fit into tight spaces without causing issues with heat expansion. You'll love that it features a see-through door. There's no need for you to open the sauna just to see what's inside. Also, the glass door is actually a safety glass designed to tolerate higher temperatures. With a 'tools-free' design, it's easy to set the sauna on your own. You'll only need to buckle the panels together and it's good to go. This feature also makes it easy to transfer the sauna to other spots in your home. And for ease of control, the sauna has a digital control panel which you can use to set the temperature and duration of your session. 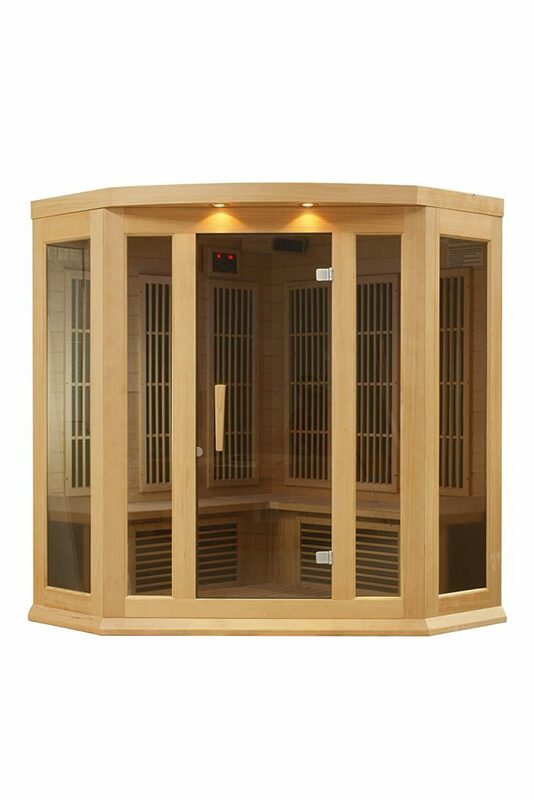 Dynamic Saunas Maxxus Reims 3-Person Corner Far Infrared Sauna has carbon heating panels which guarantee a cost-effective way of helping you achieve a healthier lifestyle at home. Its modern technology and efficient heating panels make it easier for your system to remove toxins as well as improve blood circulation. 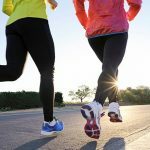 They are also great for relieving pain, improving skin tone and burning calories. 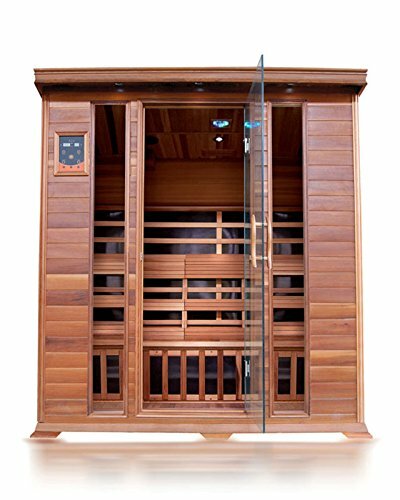 Similar to our best rated infrared sauna, this one is also made from Canadian Hemlock wood. Its walls are also double paneled with really thick interior and exterior planks. These features guarantee durability which is exactly what you want in a sauna. The sauna heats up fast which means it wastes less energy. It means a shorter waiting time too. The heat it produces is soft and evenly distributed within the sauna and that's what you want. It is able to penetrate the skin 40% more than saunas with ceramic tubes. As for the set up, it can take about an hour to fully install the sauna. Since it's made particularly for indoor use, you can fit it in your basement, garage, home gym or walk-in closet without any problem. It has a spacious interior and you won't have issues sitting comfortably inside. Despite the easy setup, however, you might need to ask for professional help if you're not a handyman. After it's installed, you can use its soft touch control panel to set your desired temperature and time. 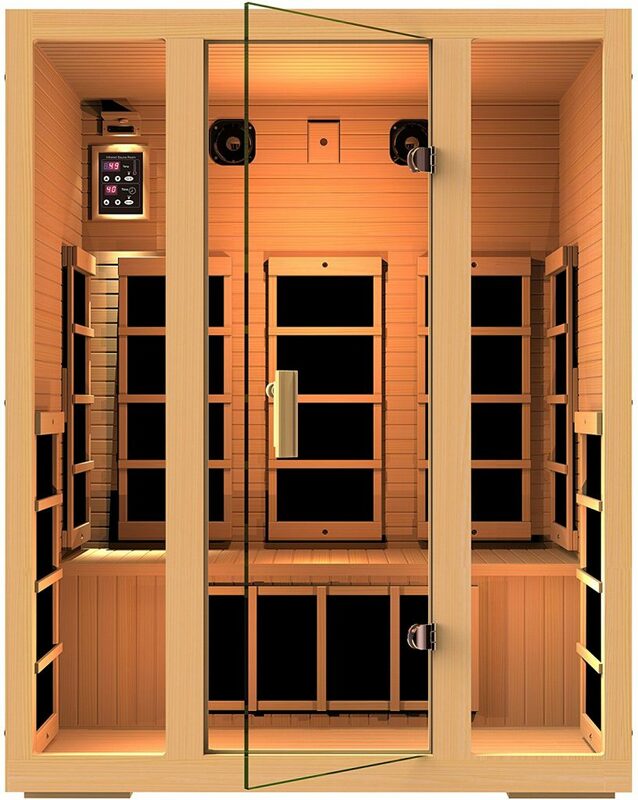 Golden Designs 2-Person Far Infrared Sauna utilizes 6 low EMF Far infrared carbon heating panels to efficiently and quickly heat up. It's made with double paneled walls and thick wood planks to ensure that the heat it distributes inside is soft and even. It operates at 130 degrees Fahrenheit. It is safer and lower temperature compared with saunas that work through rock and water. Because of its lower operating temperature, you'll be able to stay and enjoy your sauna for a longer time. 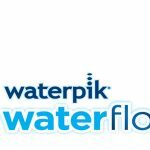 This gives you the opportunity to maximize the potential health benefits it offers. The sauna has plenty of room inside and this gives a greater relaxing experience. You won't feel too restricted inside even if you have someone there with you. You won't get bored inside as well since it comes with an interior reading light and a connection for your mp3. Dynamic Saunas Venice 2-Person Far Infrared Sauna relies on its 6 low EMF Far infrared carbon heating panels to give you the best sauna experience at home. It offers a spacious sauna cabin which isn't surprising as it's among the largest saunas available with a 2-person capacity. Its extra inches can help make sure you remain comfortable even with a longer sauna therapy session. It also makes sure you don't get exposed to excess heat as it comes with an auxiliary vent window. The sauna comes with chromotherapy LED lighting that features both internal and external control interfaces. It also has speakers with a dedicated aux port for your music players. These two greatly boost the experience you'll get from the sauna. Now, apart from those features, you'll be impressed by its design. It's not only well-finished but it looks elegant too. Made from Hemlock wood, it has a dark tint finish which can complement most homes. It is quite easy to assemble as well. Its tools-free feature eliminates the need to hire professional help just to set it up. If you are looking for the best infrared sauna that can accommodate up to 4 people, you can't go wrong with SunRay Sequioa 4 Person Infrared Cedar Sauna. This one is a lot more spacious than other saunas with the same capacity. For its large size, you won't have to worry about the experience you'll get from it. With 10 carbon-nano FAR infrared heaters, it can evenly distribute heat with absolutely no EMF. Made with Red Cedarwood, there's no unpleasant aroma that can ruin your sauna session too. 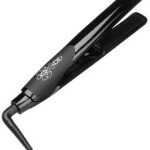 In addition to that, its material ensures durability and great appeal. The sauna has 3 ergonomic backrests that are all moveable. There are 7 color chromatherapy lightings as well. You can read newspapers or your favorite book as you're enjoying your sauna session. Now, what sets it apart from the rest is the oxygen ionization system. It purifies the air, greatly boosting the sauna health benefits. Inside the cabin, you'll find cup holders you can use while enjoying your favorite tea. With so many buying guides, it's hard to find unbiased infrared sauna reviews you can actually trust. Most of them are just by your side to get you to buy their product. And if you're feeling frustrated and annoyed reading such reviews, don't give up just yet. We're here to help you pick the best infrared sauna for your needs. Knowing how long a company has been in business can give you an idea of how reliable and trustworthy their products are. It can also give you an idea about the quality of saunas they create. Always make it a habit to read infrared sauna reviews to check if a sauna is really capable of delivering its claims. If you have friends or family members who are into saunas as well, take the time to ask for their opinions. 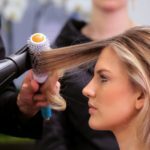 Ask the brands they are using and the pros and cons of each one. If you can, try to experience their saunas. Testing them out can give you a clearer idea of what you want and what you need in your own sauna. In saunas, smaller isn't any better. You want to get as much space as possible for the best sauna experience at home. The last thing you want to happen is to experience cramping on your legs because the space inside your sauna cabin is too tight. In addition to leg room, check your available space at home. Make sure that you have the right measurement to ensure the right fit. Consider getting a corner unit if your space at home is limited. It will save you some floor space without compromising your comfort. Take note of the number of people who will be using the sauna too. You can get a 1-person to 6-person saunas with varying prices. A control panel placed outside of a sauna unit is great but it's not the only thing you should look for. Ideally, the best infrared sauna should have two control panels: one inside and another one outside. 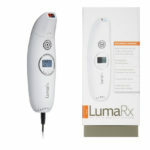 This will give you the freedom to set and adjust your time, heat, and lights without going inside or outside the sauna. The control panels should also be easy to access. As much as possible, stick with a sauna that has the most number of heat panels and greatest heat coverage. A sauna with a few panels will take more time heating up and that means bigger electricity bill. Also, a long waiting time can compromise your comfort. When it comes to wood choices, your best options are cedar and hemlock. They don't just look beautiful but they are quite sturdy as well. They can resist cracking and splitting even when exposed to high temperatures. Apart from wood type, you should also get a sauna made from wood that's certified from a sustainable forest. It has the least environmental impact. Saunas should be able to provide relaxation and peace of mind. So, in choosing an infrared sauna, make sure that it's easy to install and that it won't take a lot of your time setting up. You should be able to put the unit together on your own or with minimal assistance. You should also have no problems when it comes to warranty issues. The company should be easily reached when you need assistance. Most low-quality units are tightly fitted with glue. When they are heated, they emit this toxic fumes that can compromise your health and overall wellbeing. For your safety, pick a unit that's tightly fitted with screws. It's also a good idea to buy a sauna unit that can purify the air inside. Since infrared saunas don't come cheap, you have to make sure you get the most out of them. When looking for an option, pick one with the most number of beneficial features. Lighting is one good example. Ensuring that there's enough light inside can help you read your favorite book while you're enjoying your sauna. A cup holder can let you indulge in your favorite cup of tea and you'll be able to listen to your playlist if there's a built-in connection to a music player. Keep in mind that the more extra features a sauna has, the more expensive it will be. So, just stick with the ones you really need to avoid burning holes in your wallet. Choosing the best infrared sauna is never a walk in the park, particularly for beginners. It’s a daunting and costly task. To put an end to your search, we highly recommend JNH Lifestyles Joyous 3 Person Far Infrared Sauna. With the latest carbon fiber far infrared heaters, it can give you the most relaxing sauna experience without the need to worry about durability and set up. It also has an excellent heat insulation for your comfort.